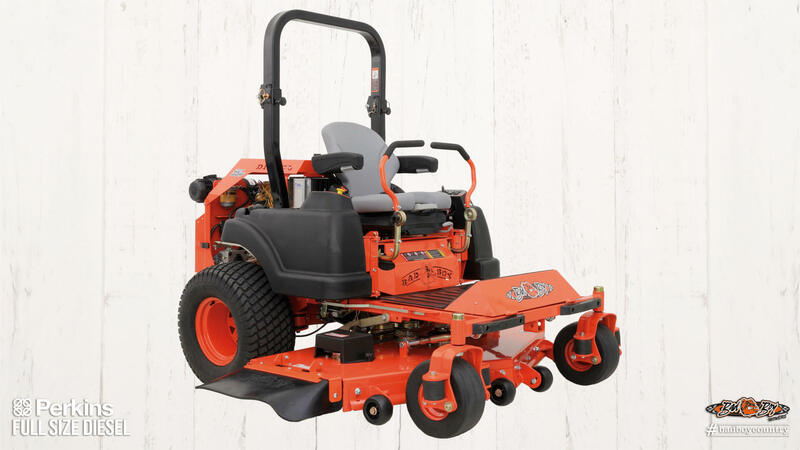 Our Full Size Diesel Zero Turn Mower workhorse is a breed set apart! 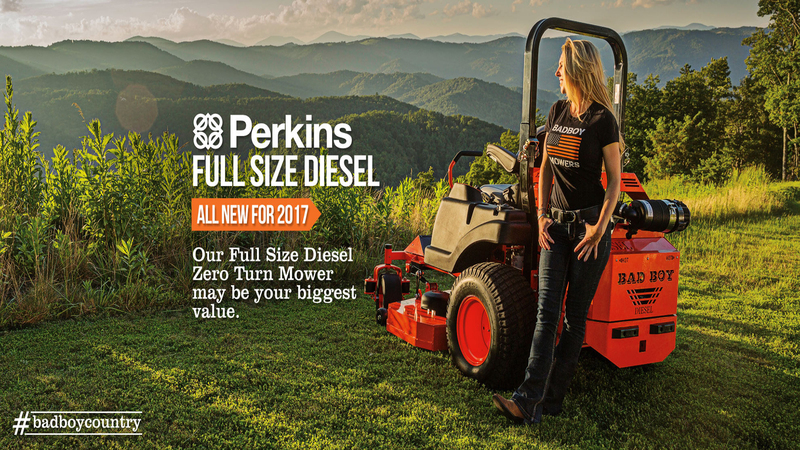 New for 2017 are Perkins® Diesels, a division of Caterpillar Industries and dedicated to the same service and support as their heavyindustry kin. 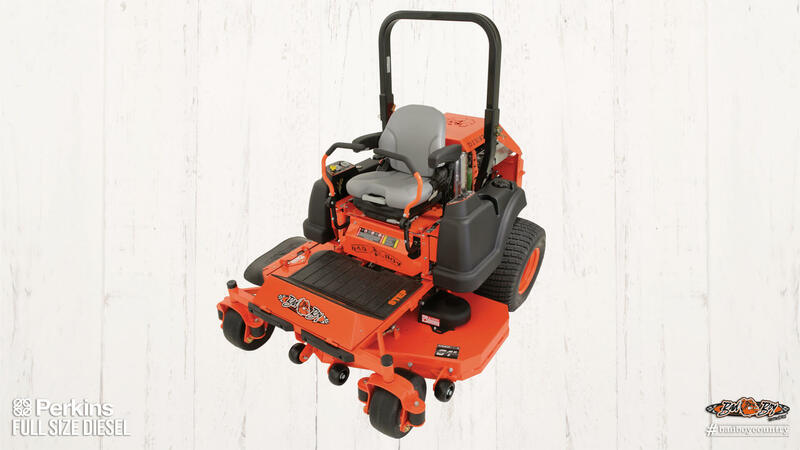 Our Perkins® Full Size Diesel sports virtually every available feature Bad Boy has invented or perfected since our very beginning. 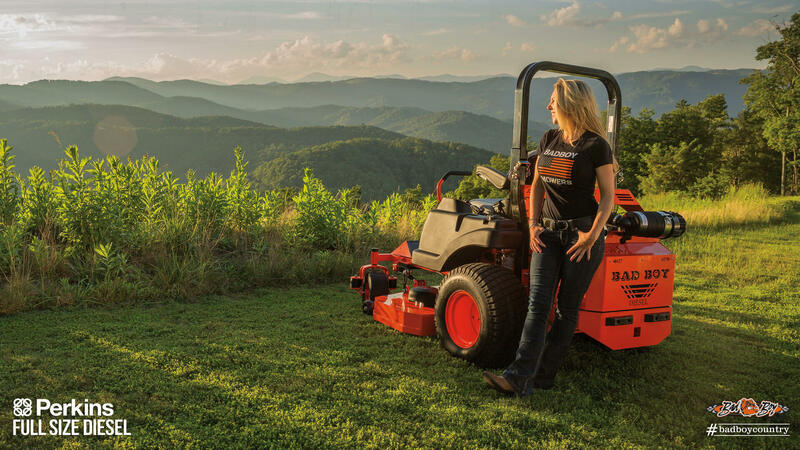 From our newest deck improvements to our classic EZ-Ride® and patented Swing-Away® Systems, this diesel-powered beast IS built for the toughest workload. 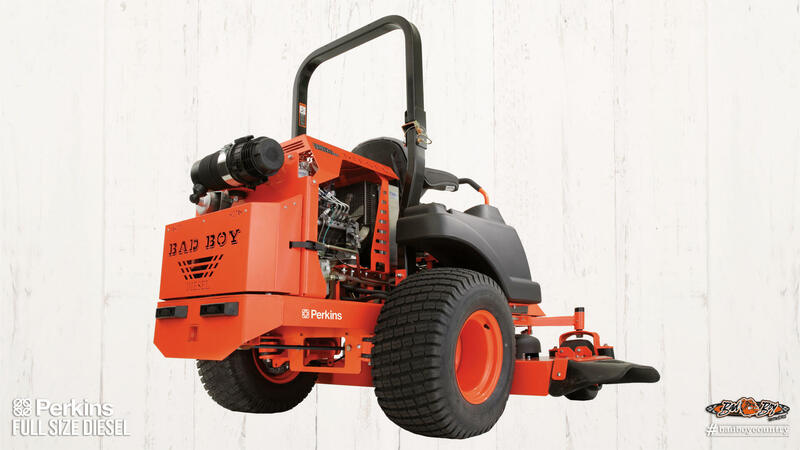 Featuring separate pumps and wheel motors and offering exceptional build quality at an exceptional price, the Perkins® Full Size Diesel Commercial Zero Turn Mower from Bad Boy Mowers represents the biggest value around.